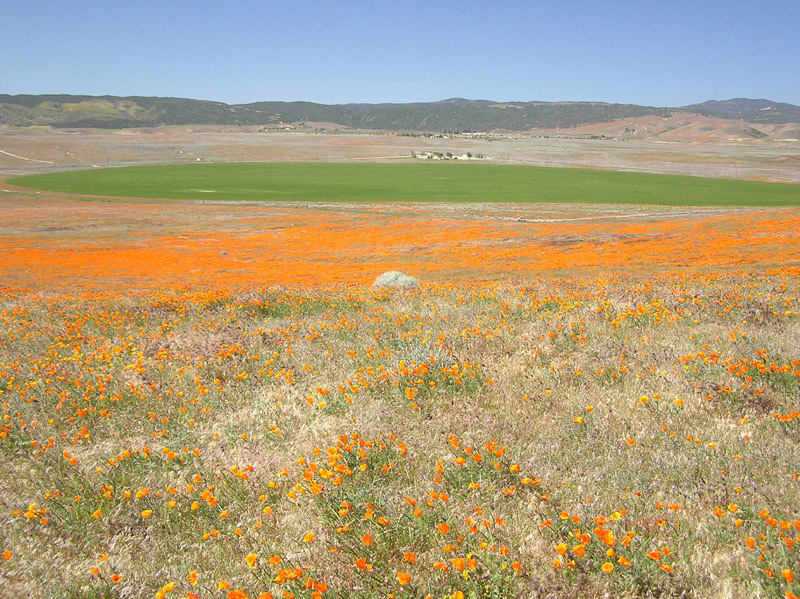 May 2, 2010 - The Antelope Valley California Poppy Reserve is an 1,800 acre State Reserve located 15 miles west of Lancaster, CA. 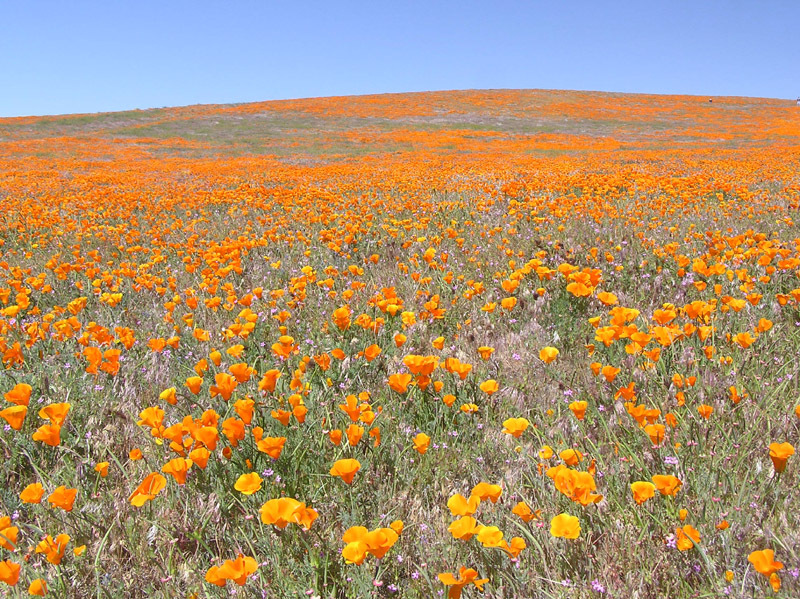 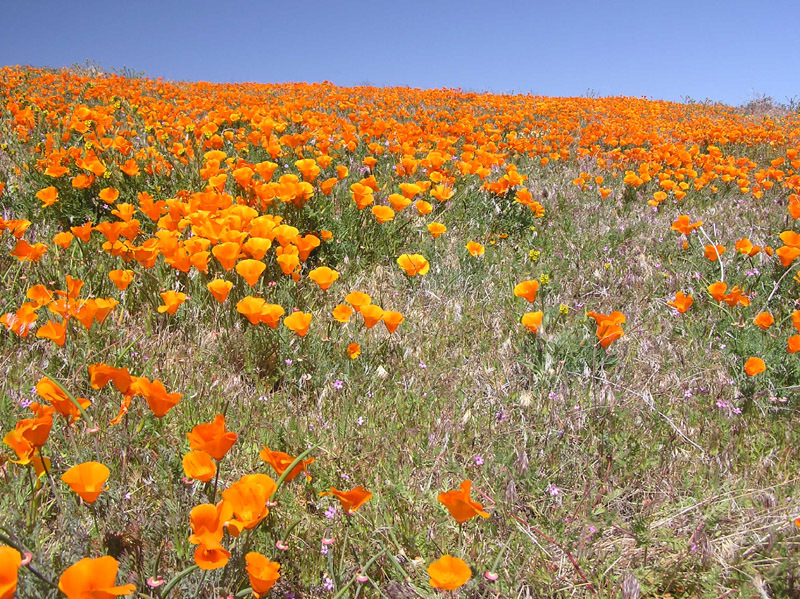 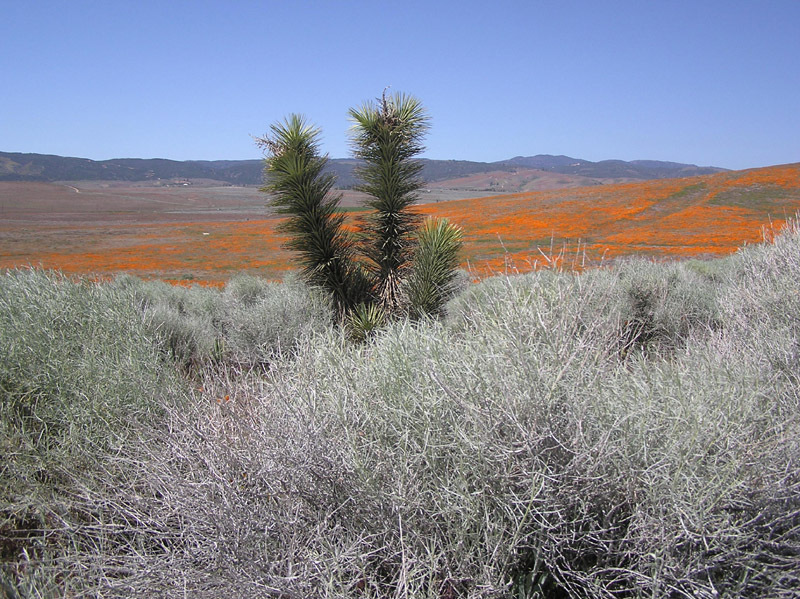 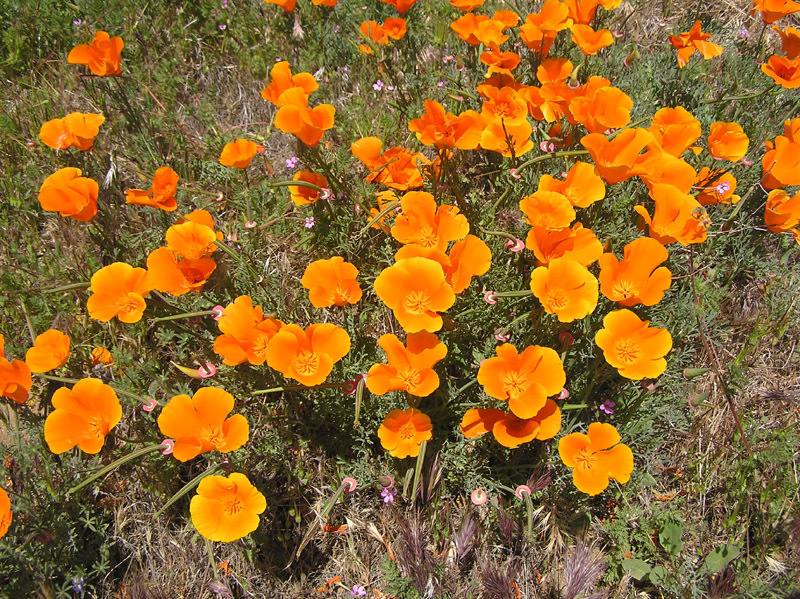 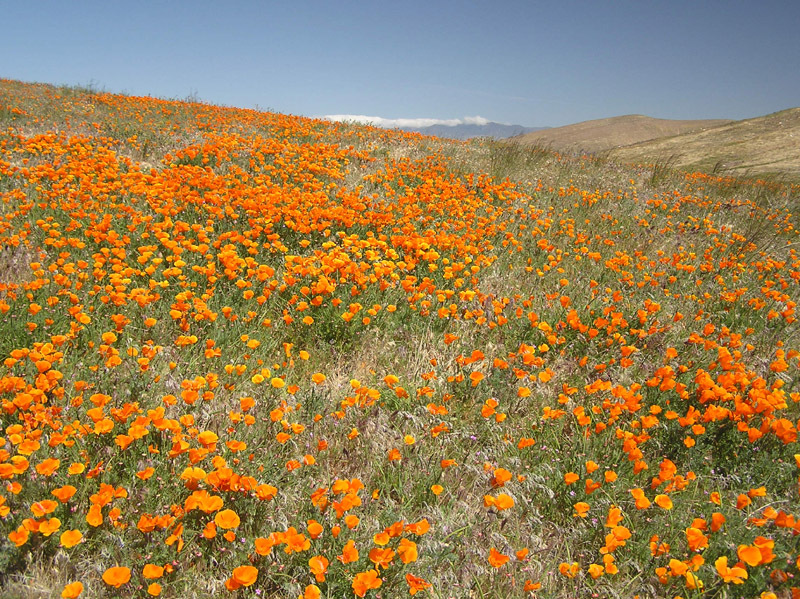 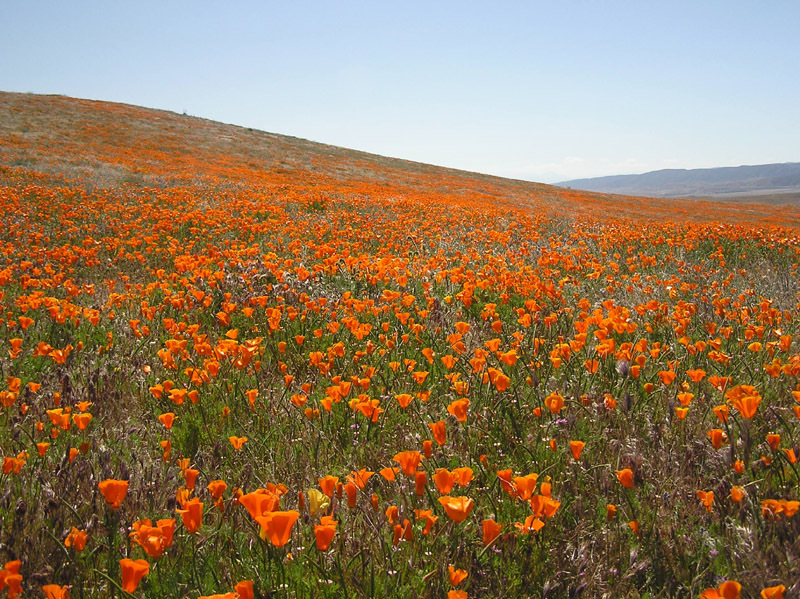 The poppy is the State flower of California and this Reserve has the most consistent poppy-bearing land in the State. 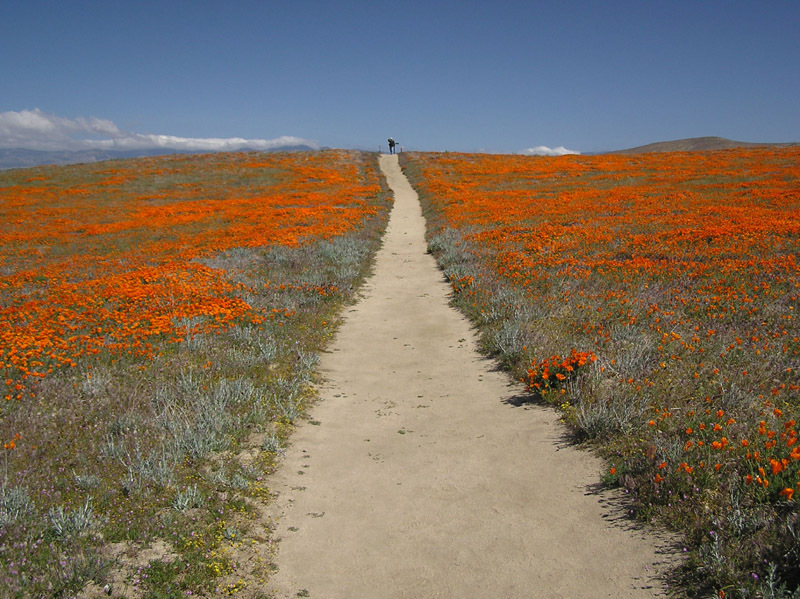 There are seven miles of trails winding gently through the wildflower fields and we walked over one and one-half miles of them.